It was the tail end of a big typhoon that had brought lots of flooding further south. There were a few waders around again at the weekend but poor light on Sunday meant almost all the photos were sent to the recycle bin. 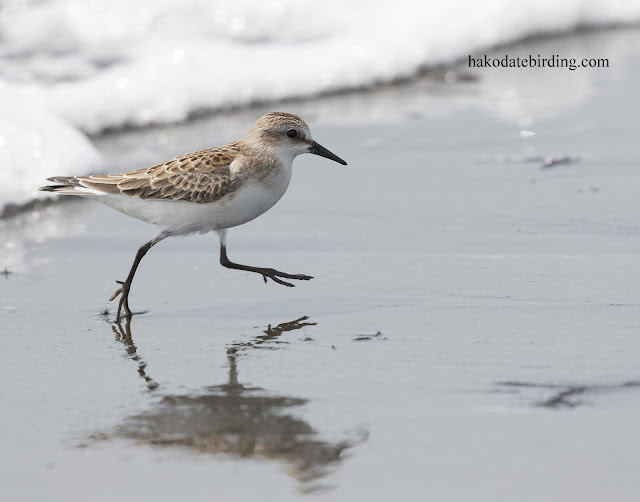 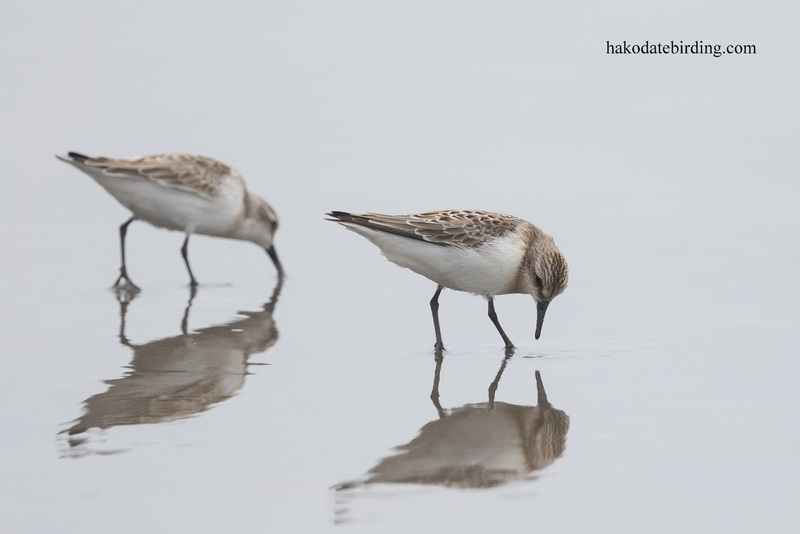 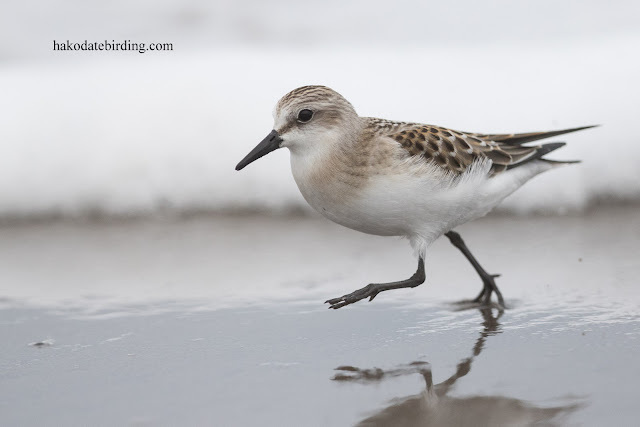 The above Red Necked Stints were at Oshamanbe on Sunday, there were about 40 of them. 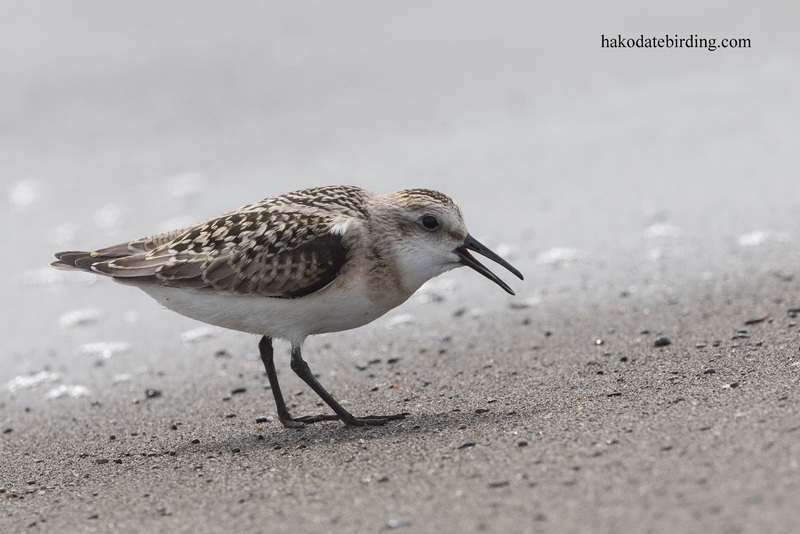 There were also 10 or so Mongolian Plover with a lone Great Knot whilst at Yakumo there were 6 Eastern Curlew, 1 Bar Tailed Godwit, some Commn Sandpiper and 3 Greenshank. 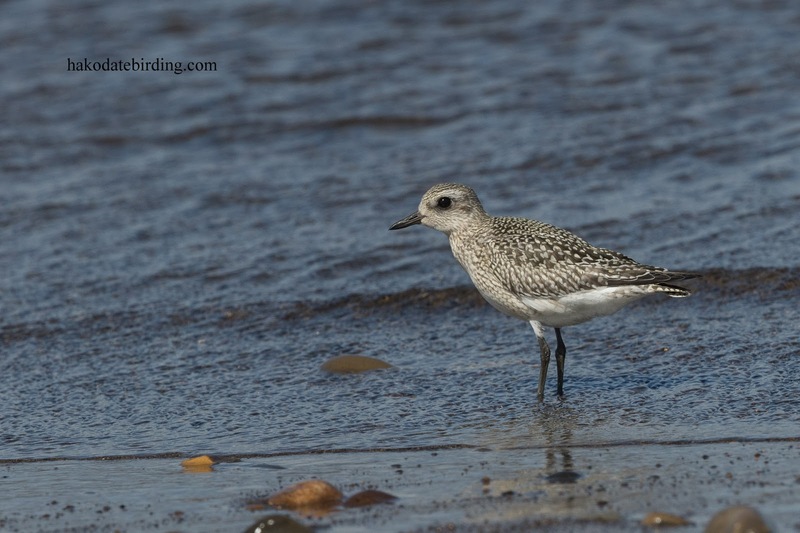 At Sawara on Monday there were more stints as well as 2 Kentish Plover and a Wood Sandpiper.